I have just arrived at my hotel close to Schiphol (Amsterdam) airport. I came here with a detour, visiting an aquarium wholesaler where I picked up scarlet badis, blue badis and thicklip gourami. The shop was very kind to allow me to visit their supplier to choose the fish myself as they were not sure they had female badis. You can imagine that I feel incredibly privileged and lucky! 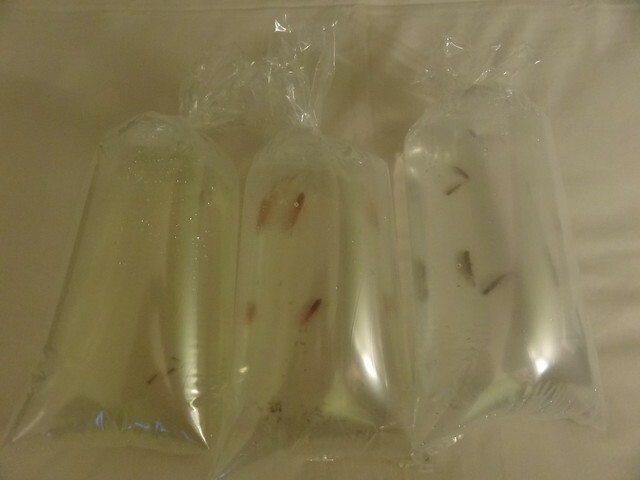 Here is a picture of the fish in the bags; I will now need to repackage them to fit them into the suitcase together with all my Dutch goodies! 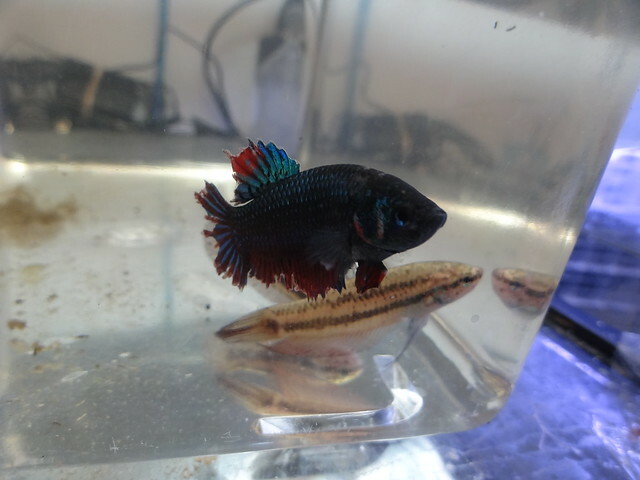 In another shop I got P. taeniatus from Nigeria. 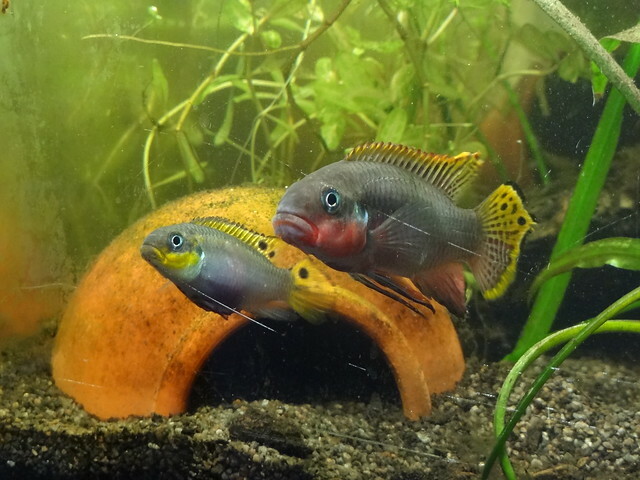 Anybody that has experience with the Nigerian taeniatus and can give me some tips? The Nigerian taeniatus we see most is the red. 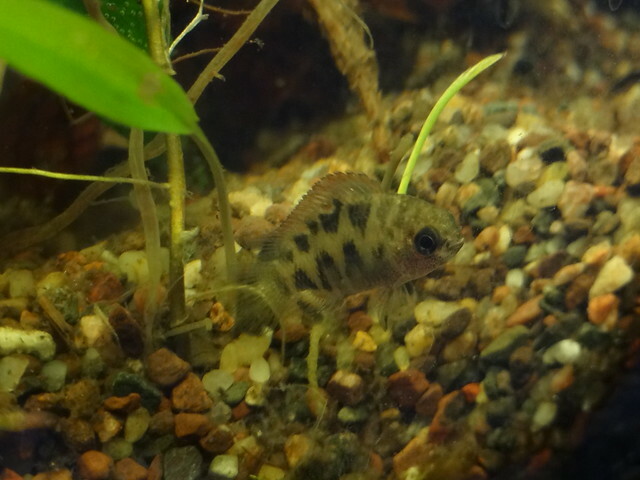 It's a linebred fish with no geographic origin known. They are fairly delicate til they become established. Not overly aggressive, and pretty. Temp 26, pH 6-7.5, adaptable. Yay! I'm glad you were able to visit while you were there! What shop did you go to? I miss the Netherlands so much, I had a great time during my visit there. Hope you, the fishy's and the dutch goodie's made it back home safely!! Everything arrived well. I came home pretty late and only unloaded the fish. 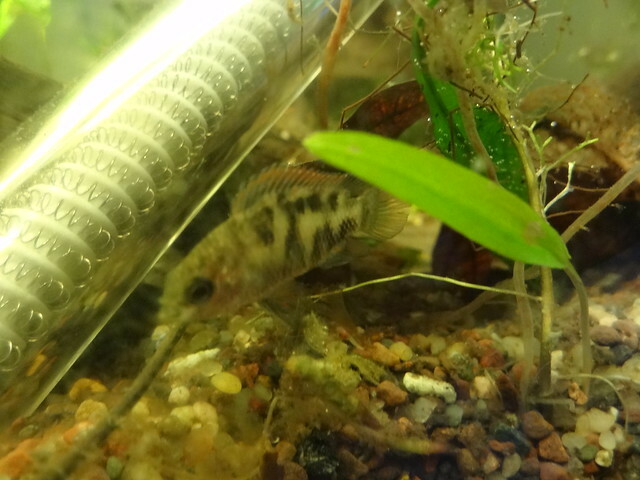 Today I have done some rearranging and I am happy to see that the taeniatus pair is already bonding and the badis are starting to come out and exploring their new grounds. oh my ! Those Pelvicachromis taeniatus 'Nigerian red' are defenitely gorgeous and I really hope you get some babies to share with us. PLEASE let me us know about this! 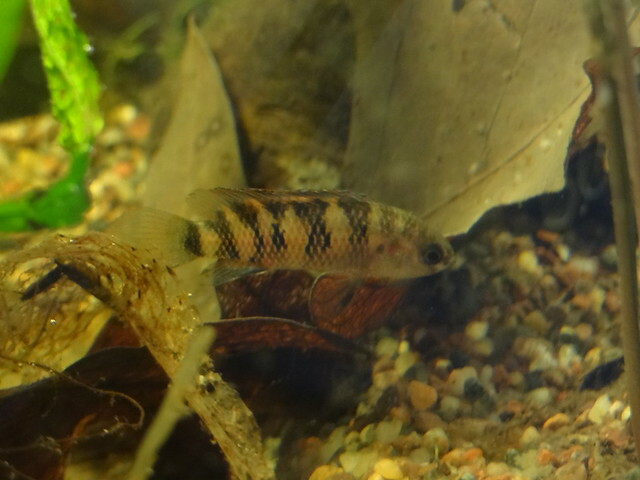 I'm glad you were able to finally get female badis and they are all looking great! Congratulations on your fish, very cool indeed. 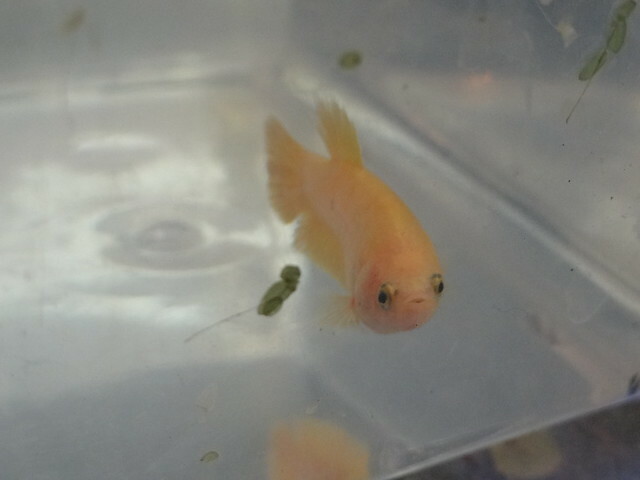 I could not see an egg spot on the Plakat so I agree it should be a male. The rest of the fish look great. Good luck with the Plakat it looks a little rough. Nice Fish good luck with all of them especially the torn up betta. He's looking really good now and very quickly congratulations on healing him so well. @Fores41 wrote: He's looking really good now and very quickly congratulations on healing him so well. Thanks! Today he produced a huge bubble nest! He looks like a Rose tail very nice hope you can breed him. If you do I will take some babies un-sexed. @Fores41 wrote: He looks like a Rose tail very nice hope you can breed him. If you do I will take some babies un-sexed. That's great. 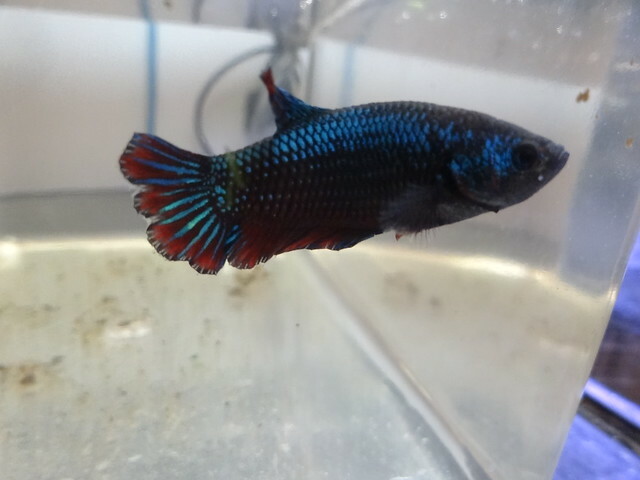 I got him this female @Fores41. What do you say?